To remove password (encryption) from PDF, Right-click the PDF file, select Decrypt with AnyBizSoft PDF Password Remover from the shortcut menu, the restrictions will be removed in seconds. Thanks for sharing. I am delighted to get this cute but powerful program free. AnyBizSoft PDF Password Remover can remove the restrictions of pdf files in one click. And I can copy or quote the content without any hassles. Hope you like it too. pdf password remover - is a powerful software which helps us remove PDF password and restrictions in seconds with perfect effects. It is easy for us to reuse PDF files after decryption. 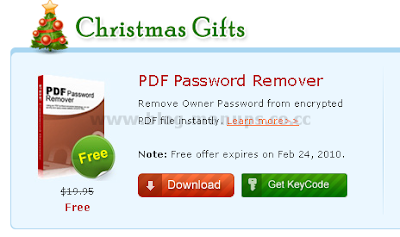 This blog has all info Regarding pdf password remover. Great blog u have! Keep it up.